FOSTER's goal is to restore seagrass populations into our estuary impacted by fresh-water discharges and algal blooms. Seagrasses are vital to the health of Florida's waterways as it provides habitat, nurseries, and food for a variety of estuarine species. In Florida, we have the highest seagrass biodiversity of the continental USA with seven species! 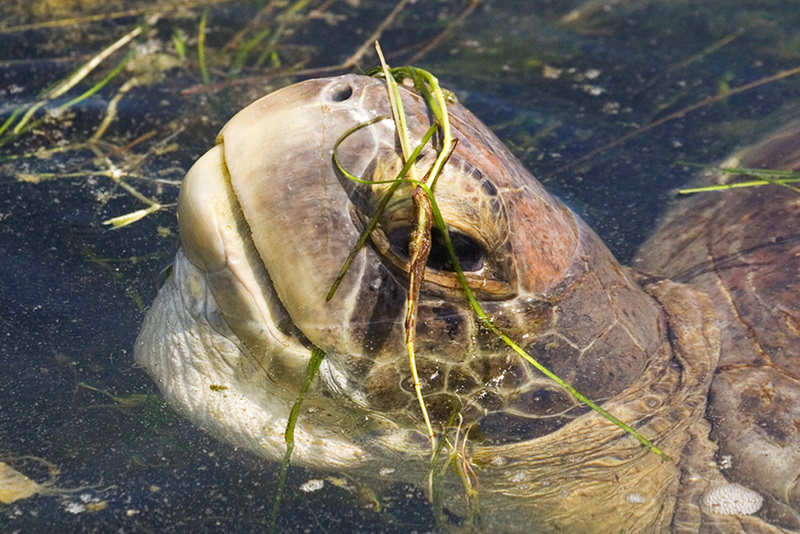 The FOSTER program relies on community-based restoration efforts to restore seagrass habitat. With a growing volunteer base, FOSTER restores seagrass by collecting and growing seagrass fragments in nurseries, constructing seagrass planting units, and transplanting living seagrass into the estuary. 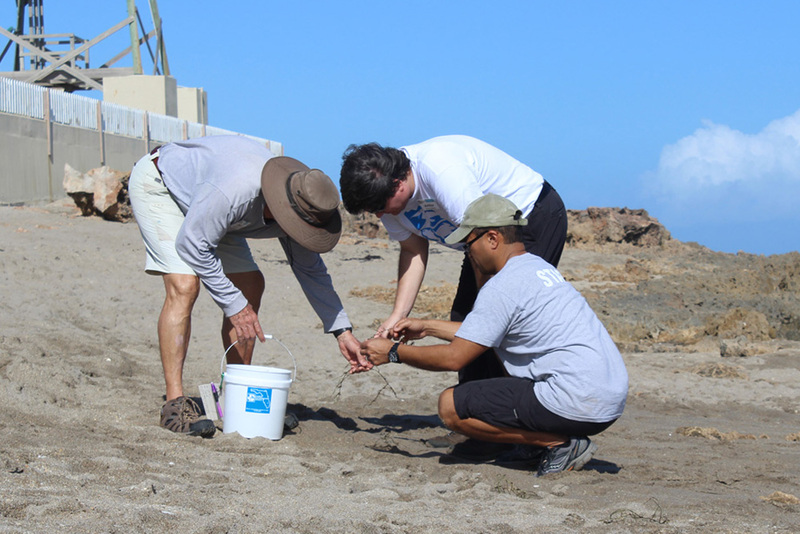 Volunteers collect stranded seagrass fragments that have washed ashore, which is a non-destructive source of seagrass. By collecting and planting small fragments of seagrass that have naturally washed ashore, we eliminate the need to dig cuttings out of healthy seagrass beds. 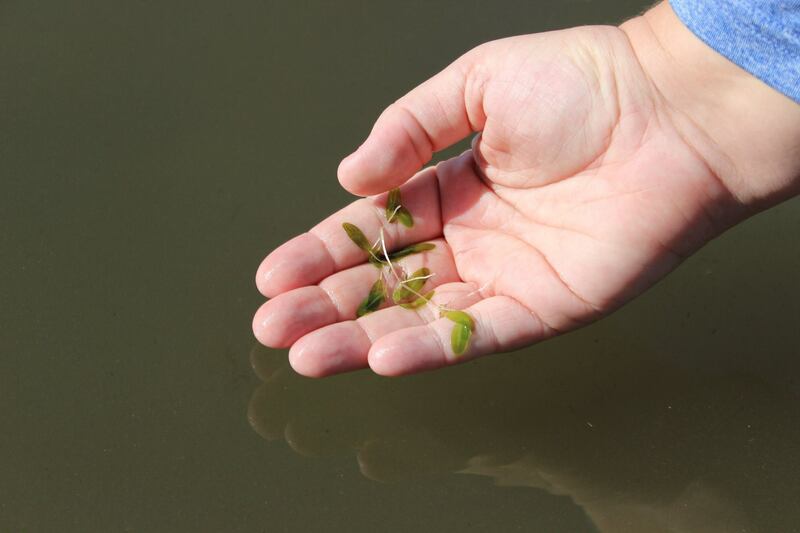 Collected seagrass fragments are grown in nurseries at the Florida Oceanographic Society. As clonal species, a single fragment can continue to grow and replicate producing viable shoots for restoration. With sufficient growth, these seagrasses are fixed into 'planting units' for restoration by staff and volunteers. These 'planting units' are transplanted into the Indian River Lagoon. 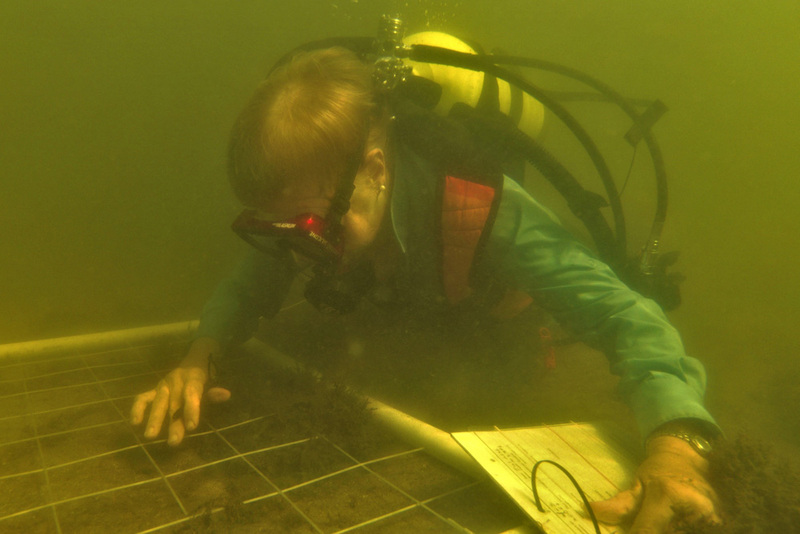 Seagrass 'planting units' are transplanted into field sites in the Indian River Lagoon by staff and volunteers. Mats are monitored over time to growth and success of restoration. Over time, these restored seagrasses will grow and expand returning the meadows to our waters. Within our first year of restoration (2016) we have restored over 350 sq. ft. with approximately 3500 shoots with the help of numerous volunteers! FOSTER monitors the survival and growth of natural and restored seagrass beds to evaluate the success of our seagrass restoration programs. Surveys of Natural Seagrass Beds: Staff and volunteers conducted monthly surveys of our natural seagrass population right off our lagoon shoreline at the Florida Oceanographic Society. We measure presence and percent cover of seagrass species. We have observed four main species in our area, shoal grass (Halodule wrightii), paddle grass (Halophila decipiens), manatee grass (Syringodium filiforme), and the federally-listed Johnson's grass (Halophila johnsonii). Restoration Monitoring: Staff and volunteers measure the survival and growth (i.e. shoot densities, heights) of restored seagrass planting units. We also compare different restoration methods, such as how oyster reefs affect survival and the type of planting units used, on seagrass success. The success of the FOSTER program relies on extensive volunteer support and community engagement. Help us continue our mission to "inspire environmental stewardship of Florida's coastal ecosystems through education, research and advocacy" by volunteering with us at the Florida Oceanographic Society.